Munich-based Portuguese producer Lino "Alkalino" Rodriguez pops up on Italian label DaBit with a pair of pleasingly warm and toasty deep house cuts. 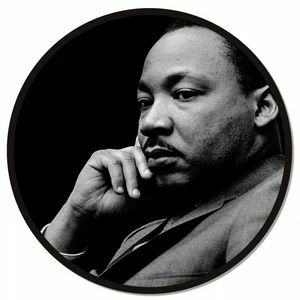 Both "Martin Luther King" and "Isolation" feature inspirational spoken passages from classic speeches, giving each track a quietly uplifting feel. Throw in enveloping chords, pleasingly loose beats, cascading melodies (in the case of "Martin Luther King") and alien electronics (in the case of the more Balearic "Isolation"), and you've got yourself a pair of winners. Sccucci Manucci boss Vorres drops a piano-laden US garage remake of "Isolation", while the mysterious QLab turn "Martin Luther King" into a swinging chunk of late night post UKG-house that boasts delightfully jaunty riffs.